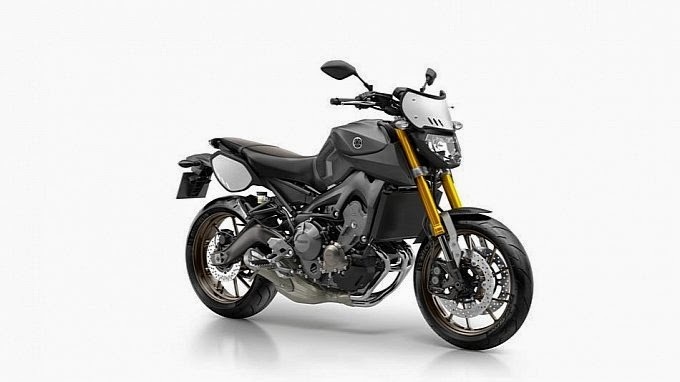 Yamaha Motor Europe announced another variant of the MT-09, which will accompany the standard model, and the type of Street Rally. The model is a Street Tracker which will be used as a special edition for the European market with a more racy look, with a little touch of motocross style on the back and front. This model glides exactly a year after the MT-09 began to be marketed in Europe. Biker enthusiastic reception in Europe pushed Yamaha continues to provide another option to maintain market. Thus, the derivation of the model family is the more street after also appearing MT-07 and MT-125. Special for Street Tracker version, inspired by a glimpse of the style can be called as a scrambler or urban scrambler. Overall the specs almost identical to the standard model, there is only the addition of aluminum and carbon components. The part that gets a touch of aluminum is the place the license plate on the back which is intended to give the impression of a motorcycle rake. There is also the addition of the side cover on the back with the number "9" and "hat" on top of the headlights. The seats are colored black and brown combination with a longer form, and flat compared to the standard model. In order for the rider to move teeth more steady, accelerating, and cornering, added wider footrest and footstool for the knee. Other changes, wider handlebar with aluminum composition, carbon rear fender with combination of aluminum. Order to whitewash black, bronze paint and rims. While whitewash gray body. This color combination makes it increasingly fierce.